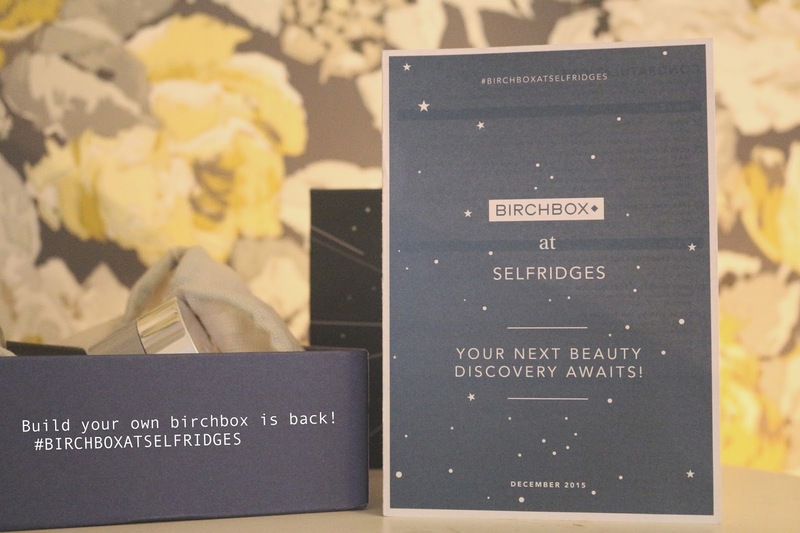 Birchbox and Selfridges London have come together once more with the crazy-good pop up - Build your own Birchbox. I came, I saw, I picked out 5 goodies and now I'm here to tell you its well worth a visit! You might remember the last pop up back in August, and if you've found yourself pining over it - pine no more! 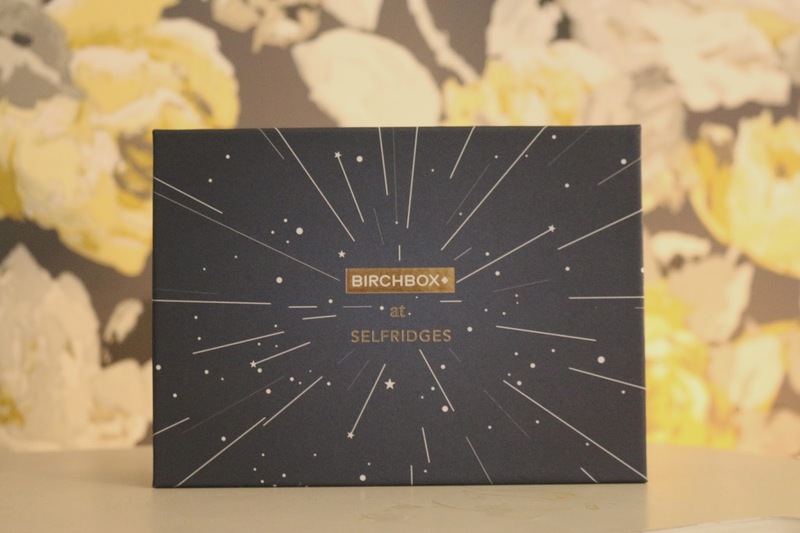 Birchbox at Selfridges is back, and its better than ever! Head down to the beauty workshop on the ground floor and you'l be greeted by one of the lovely birchbox helpers who will guide you through the process. 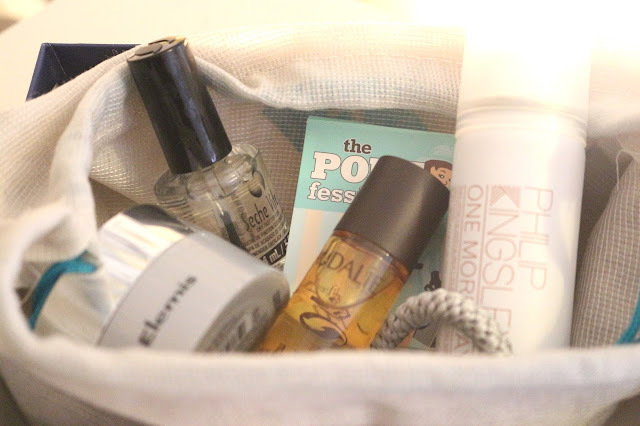 You'll get a menu detailing the products on offer, a cute little drawstring bag and a beautiful limited edition birchbox to stash all your goodies in. Browse the exciting display, and hand pick your five deluxe samples (although some are actually full sized) and take home to play with. Why not make two boxes, one for you and one for a fab Christmas gift? (I did!). I was really impressed with the brands on offer including Benefit, The Balm, Living Proof, and Ole Henriksen to name but a few. 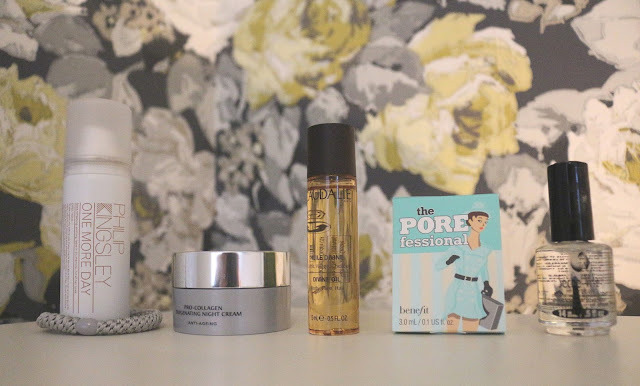 I already had a few of the products, so I used the opportunity to grab a few favourites as back ups and to put some newbies to the test. Make up: Benefit Porefessional - A favourite primer of mine, so I jumped at this luggage friendly size. Perfect to take on my travels. SkinCare: Elemis Pro-Collagen Oxygenating Night Cream - This is a pretty generous sample and I'm currently using Elemis cleansing balm, so I'm excited to add this into my skincare routine. Nails: Seche Vite - Full sized, and worth the price of the entire box! This was a no brainer, I literally can't paint my nails without it so this will go straight into the back up drawer! Body Care: Caudalie Divine Oil - Another favourite of mine, and I've had a sample this size before that lasted for months! I use this everywhere - on my body, face, in my hair, in my bath. Its divine. Pardon the pun. Hair Care: Phillip Kingsley One More Day Dry Shampoo - Im so bored of using Batiste dry shampoo, so I'm excited to try this version. Its the perfect size to travel with, and I find Phillip Kingsley products work really well with my hair type, so heres hoping! Beauty Bonus! - L.Erickson Grab and Go Ponytail Tie - Just like in the monthly birchbox, you also get to choose a beauty extra. There were cute accessories and keychains to choose from, but I chose this metal free hair-tie. You can never have enough hair ties, right? A great experience had all in all, I never pass up an opportunity to browse the halls of Selfridges and this gives you a great excuse. If your popping by I also highly recommend lunch at the 'forest on the roof', a fantastic restaurant and roof top bar. You'll be wrapped up in a cosy blanket and drinking hot cocktails before you know it! Try the mulled wine and the truffle fries - to. die. for. I always love the build your own boxes! That hairband is my absolute favourite too. It's so strange to realize after a review of Paperwritings.com on the TV show called Mr. Selfridge, that this is an actual person and he actually established the world-known line of shops.